Chennai : DMK President M.K. Stalin on Saturday proposed Congress President Rahul Gandhi as the next Prime Minister. Speaking at a public rally here, Stalin said: "I propose, we install a new Prime Minister in Delhi. I propose the candidature of Rahul Gandhi from Tamil Nadu." Stalin said Rahul Gandhi had the capability to defeat the "fascist" Narendra Modi. 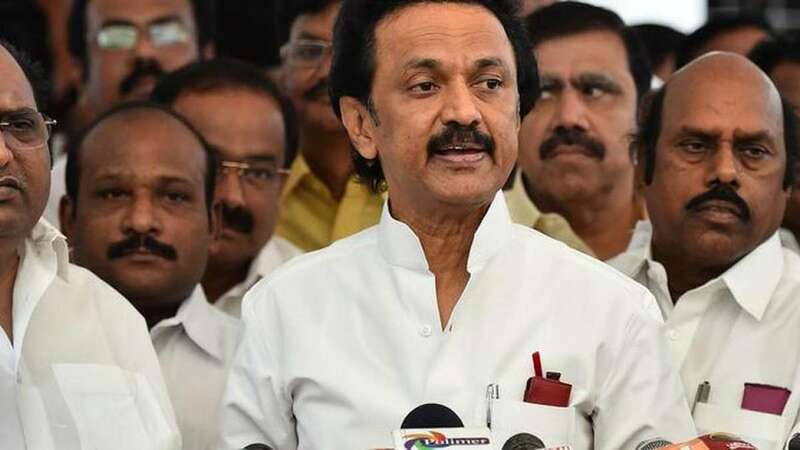 "We will strengthen Rahul Gandhi's hands," Stalin declared. Stalin made the announcement at a public rally in the presence of United Progressive Alliance (UPA) Chairperson Sonia Gandhi, Rahul Gandhi and Andhra Pradesh Chief Minister N. Chandrababu Naidu, Kerala Chief Minister Pinarayi Vijayan and Puducherry Chief Minister V. Narayanasamy, DMK leaders and several other parties. Earlier, Sonia Gandhi unveiled former Chief Minister Karunanidhi's statute at the DMK headquarters Anna Arivalayam here.